Las Cruces is a horseman’s paradise. Whether your interests run to trail riding through the foothills or desert, showing, roping, dressage, jumping, or rodeos, you’ll feel at home and find plenty of opportunities in the area. Las Cruces is also home to ample tack, feed, and western wear stores, as well as numerous boarding and training facilities. Steinborn & Associates Real Estate is your area resource for rural properties and land for sale. 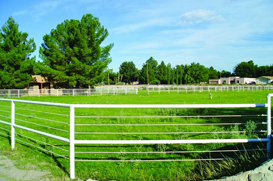 From turnkey horse properties to subdivision lots to farms, we are able to assist you with all your property searches.